When diagram editors are used as components of larger software systems they are not only used as an input facility for diagrams, but also for visualizing results or other data structures which are externally represented. Examples are UML tools which are used for re-engineering. This paper presents a generic unparsing approach which allows for creating diagrams from XML-coded external data structures. This approach has been integrated into the diagram editor generator DiaGen. 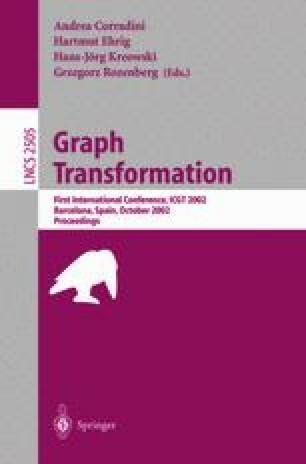 It is based on an XSLT specification of the rule-based unparsing process which creates a hypergraph model of the resulting diagram. List of XML applications. http://www.oasis-open.org/cover/siteIndex.html#toc-applications.